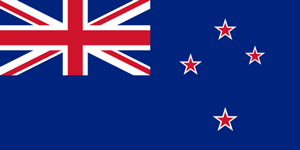 New Zealand is a country in the southwestern Pacific Ocean. It consists of two islands, both marked by volcanoes and glaciations. Wellington, its capital, is famous for the expansive Te Papa Tongarewa Museum. Wellington is also famous as ‘Lord of the Rings’ was shot here. Planning a trip to see the beauty of New Zealand may seem tricky, but with TCE handling your money matters, it will be as easy as snapping your fingers. So don’t waste any time and plan a trip to New Zealand. New Zealand Dollar is the currency of New Zealand and is also used in Pitcairn Islands. Its code is NZD and sign is $. Each dollar is subdivided into 100 cents. It is one of the most traded currencies in the world. TCE offers the best and unrivaled exchange rates. There are no hidden charges and our customers never overpay. With our customer- oriented services, each customer is individually catered to. With our online ordering facility, our customers can save time. You just have to make an online payment using your Interac debit card and pick up your currency from any of our stores. With the home delivery option, your currency is delivered to you through Canada post within two business days.